Lou Andreas-Salomé (1861-1937) was a German novelist and a pioneering psychoanalyst to whom Freud sometimes referred patients. She was also a confidante of Nietzsche and Rilke. A recent film by Cordula Kablitz-Post tells the story of her life; it was released in Europe in 2016 and is now available on BluRay/DVD in Europe and North America and as video-on-demand at Vimeo. 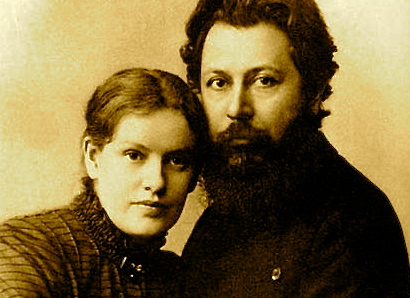 The photo shows Salomé with her husband, Friedrich Carl Andreas, a scholar of Persian literature. The quote comes from Andreas-Salome's memoirs, Looking Back, translated by Breon Mitchell (Paragon House, 1991), p. 148.